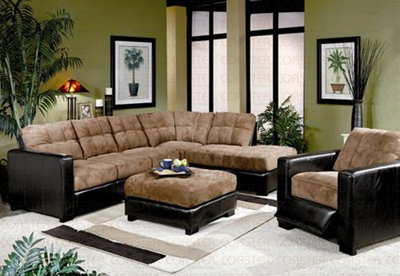 Chaise sectional with a two tone cover combination which adds to its sleek look and feel. Padded microfiber seating match with a specialized polyurethane coasting vinyl. Set features oversized ottoman and matching recliner.